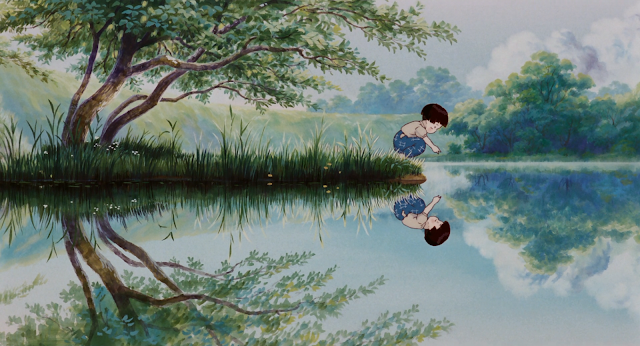 It's quite ironic, how much more I love animated films now than I did when I was a kid. I had certain ones that I watched on repeat growing up, sure, and a couple of those will appear on this list, but these days I see so much more beauty in the stories being told by great artists that choose to pour their imaginations into a frame rather than shoot reality. With the release of Finding Dory a week ago, it got me thinking about how I would rank my favorite animated films of all time. One thing that will be abundantly clear on this list is that because I didn't really take too strongly to animation when I was growing up (Star Wars on repeat was my jam instead), you won't find a lot of the Disney classics on here. It's not that they aren't terrific, as I have since watched some of them and completely understood why they mean so much to so many, but there is no nostalgic value to them so I am simply comparing how all of these films impact me now and what they mean to me as I sit down to watch them with my daughter. So I talk about how I share these films with my daughter, and then the first one on the list is something I certainly have not shown her. 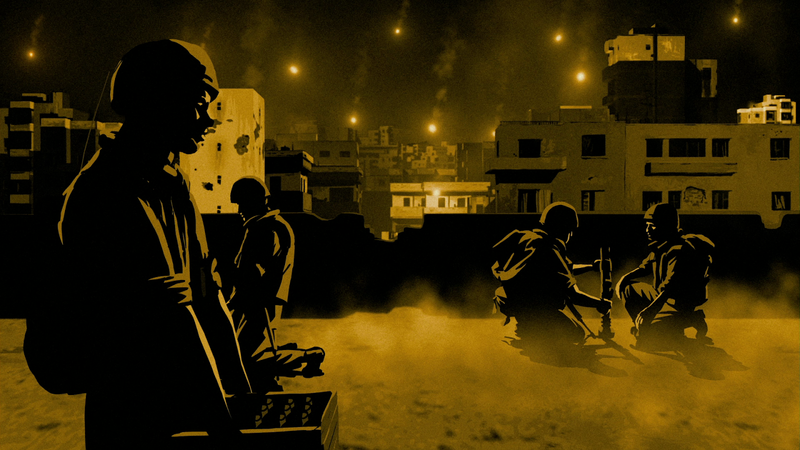 Strange as it sounds, Waltz with Bashir is essentially an animated documentary as it tells the true story of what Ari Folman (who wrote, directed and stars in the film) went through during his time as a teenage infantry soldier in the Israel Defense Forces. It's a beautiful, haunting and horrifying tale that actually feels more graphic and harrowing by using animation rather than showing typical reenactments. 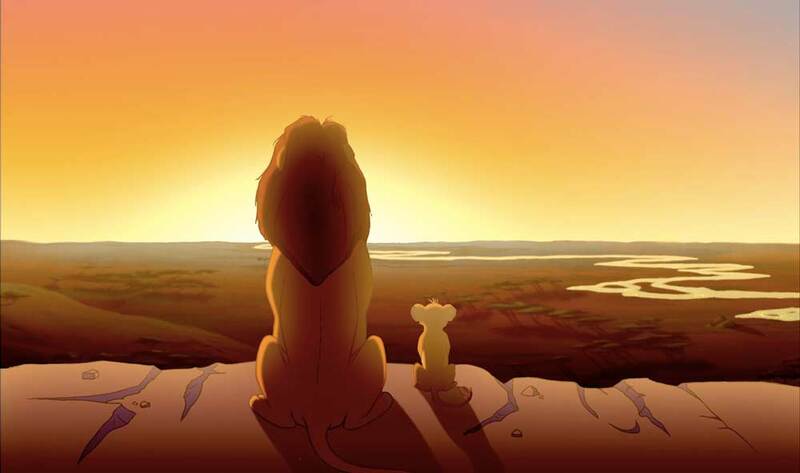 I didn't love a ton of animation as a kid, but lord did I adore The Lion King. Still do. Something about it resonated with me as a little one to the point that I wanted to watch it on repeat, and sometimes the stuff a kid loves seems silly to an adult but when I sit down and experience this movie all over again now, it's still outstanding. Brilliantly drawn and deeply moving, I have probably seen The Lion King 200 times in my life and I could watch it again right now. 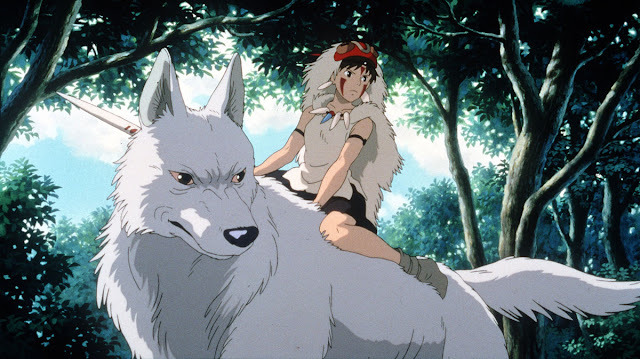 The first of three Hayao Miyazaki films that will appear on this list (and four from Studio Ghibli), Princess Mononoke is an epic fantasy masterpiece that is richly thematic with a script that is complex and fascinating. I said earlier that I love animated films now more than I did when I was younger, and the work of Miyazaki is a perfect example of why. The films can appeal to kids, as proven by my kid who loves them, but there is no chance she can fully understand and appreciate everything going on. I was 13 when this was released and lord knows I didn't. 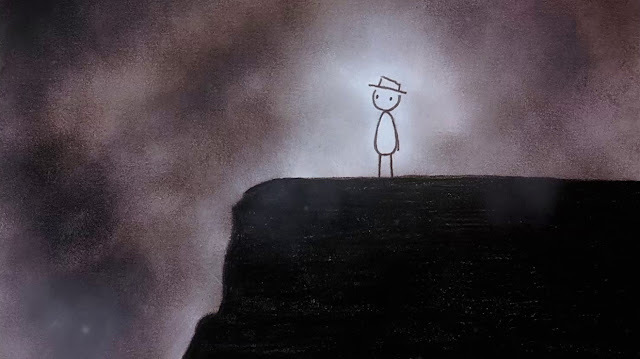 The work of Don Hertzfeldt is something that is difficult to put into words. After seeing It's Such a Beautiful Day and his Oscar nominated short World of Tomorrow, I am fully on board with the idea that the man is a genius. This film is about a stick-figure named Bill whom is experiencing memory loss and is coming to grips with his own mortality after being diagnosed with a terminal illness. It's a darkly funny and tremendously moving picture, and if you have reservations about taking it seriously because of the animation, give it a shot. Please do. Yes, a Dreamworks sequel is on my list. Honestly, I was contemplating putting it higher and the hardest film to leave off this top ten was the first How to Train Your Dragon. I can't stress enough how much I love these films, and the sequel is packed with heart, emotion and fun. It's spectacularly animated and when I saw that legendary cinematographer Roger Deakins was a visual consultant, I wasn't surprised. The lighting and the colors and the epic scale of the images, beyond impressive. Add in an impressive vocal cast that added Cate Blanchett here and storytelling that isn't afraid to take a few risks and show that the characters face actual consequences, I can't get enough. I recently revisited this film and it's just as wonderful as it was the first time. I cannot wait for the third film knowing that it could be mentioned alongside another masterful animated trilogy (more on that later). Warning: don't watch around children and be prepared to cry. Grave of the Fireflies may be animated but that does not mean it isn't graphic and disturbing. Up above I wrote about Princess Mononoke and I mentioned that four Studio Ghibli films would be on the list, well this is the one not directed by Hayao Miyazaki. 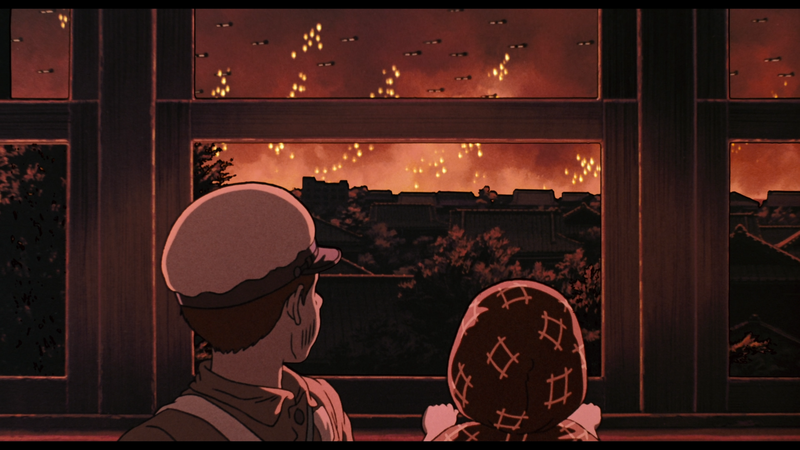 Written and directed by Isao Takahata, this movie is about two young siblings trying to survive on their own during the conclusion of the second World War. This is a story that earns your tears. It's so beautiful, so painful and completely unforgettable. It's so difficult naming a favorite Toy Story film because frankly, all three are pretty much perfect. It's an amazing trilogy, and strangely I am becoming more and more convinced that the third film is actually the best of the bunch yet it didn't even make my list. Why not? Because of that very thin line that defines "best" from "favorite", and the original Toy Story has an extremely powerful nostalgic grip around me that I cannot let go of. 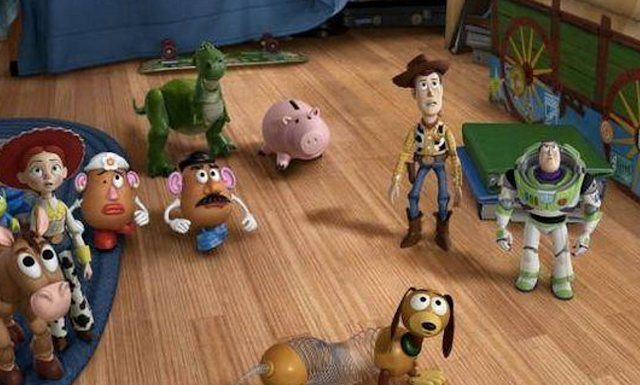 When I think of Toy Story, the movie that changed animation forever, I think of being a kid and how wonderful it made me feel to see it on the big screen, so no matter how many sequels they release I will always cherish the original. A work of art. An absolute treasure. 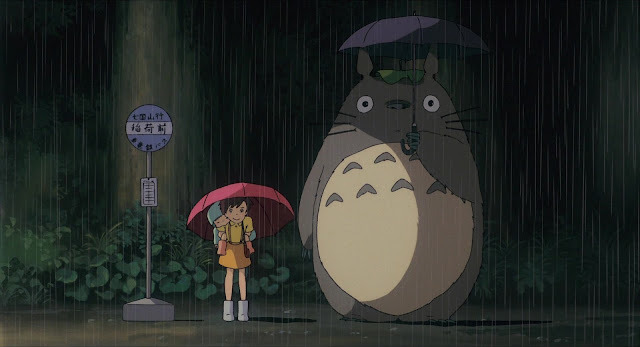 Hayao Miyazaki's beautiful film My Neighbor Totoro is charming, heartwarming and heartbreaking, a fantasy adventure involving two sisters who desperately need a Totoro to rescue them from the harsh realities of the world around them. A hand drawn wonder of animation that feels so refreshingly genuine, it's hard to argue with anyone who believes this movie is the best piece of animated filmmaking ever. Yet here I am ranking it only third and amazingly, not even the best picture from Miyazaki himself. Okay so it's only been a year since Inside Out was released, so I bet it feels a bit rushed and hyperbolic to rank it so high on this list. On the other hand, I only knew my wife for three months before we moved in together and after just one year we were married, and here we are eleven years later still going strong. My point? Sometimes you know how deeply you love something and time is irrelevant. Okay, so that seems pretty hyperbolic now, right? Comparing a Pixar film to the person I hope to spend the rest of my life with? Yeah, of course it is. They don't even play in the same league in terms of what they mean to me, but put only against the backdrop of cinema Inside Out is truly a special experience. I actually believe I showed some restraint by ranking it only second here rather than my favorite overall because truthfully, I don't believe a smarter and more meaningful piece of animation exists. The complexities on display to demonstrate the emotional experience of adolescence are incredible, and the film features one of the most clever ways to portray depression I could ever think of. 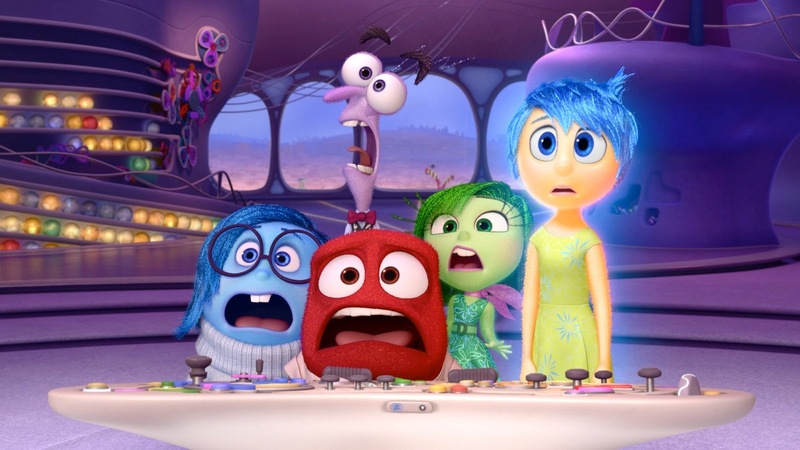 Inside Out is a masterpiece, and whether it was released in 1975 or 2015 doesn't change that. The irony of Spirited Away being my favorite animated film of all time is that it's the hardest to write about, where as you would think the deeper the admiration the easier the words would come flowing out. It's just sorta gotten to that point where I wonder what else needs to be said about something so utterly perfect and unique as this Miyazaki dream. Magical, creepy, strange, touching, exciting and funny, this movie has everything. It's a coming of age story about the main protagonist, a young girl named Chihiro. It's an assault on capitalism and greed. It covers the topic of pollution and our environment which is something Miyazaki is clearly deeply passionate about since much of his work trends in that direction. 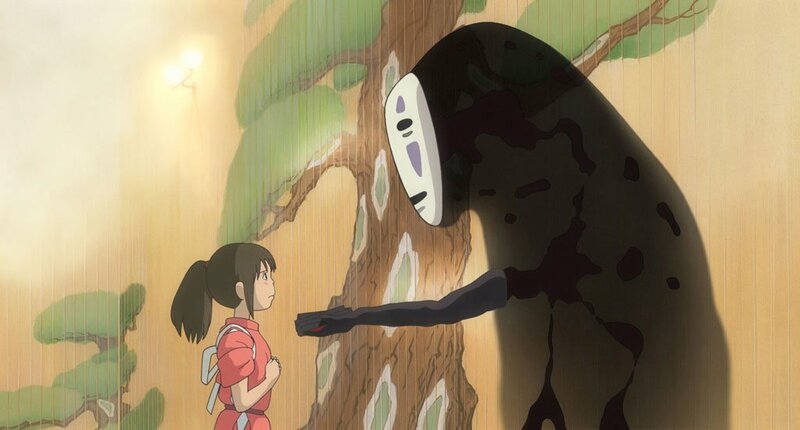 Spirited Away is the perfect example of what is deeply flawed about the concept that animation means the target audience is kids, a film that is so mature and important and drips the wisdom of the geniuses behind it from every frame. Aw man, these are all great films. I think it's a bit of a cheat when it comes to Ghibli and Disney since they rarely make stinkers. If it's not a home run it's at least a triple. Just Disney alone I'm stumped with, add Ghibli to the mix and I don't know if I could make a top 10 T.T so many hard decisions. I know what you mean Cody, this was surprisingly really, really difficult to make because of the amount of greatness that I needed to exclude. I feel like I'm missing some really great ones, but that's only off the top of my head. The other two Toy Story films, Lego Movie and the first HTTYD were the most difficult for me to leave off here. After that (if I were doing a top 20) I would have probably included a couple more Ghibli titles. All great choices! I also loved Princess Kaguya. My list would have a lot of Disney films, because I did grow up watching them on repeat and worshipping them. I think Tarzan and Bambi are great, and I also consider Snow White a landmark achievement. Princess Kaguya is INCREDIBLE Mahathi. It would have certainly made a top 20 list had I expanded this. Such a beautiful film. Thanks for stopping by and sharing your thoughts, appreciated!